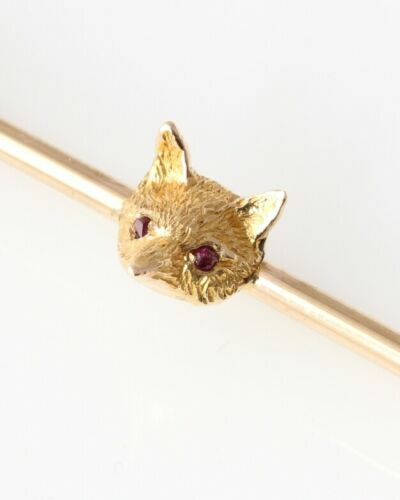 Fox Head on Riding Crop 9ct Gold & Ruby Brooch / Hunting Tie Pin. Boxed. 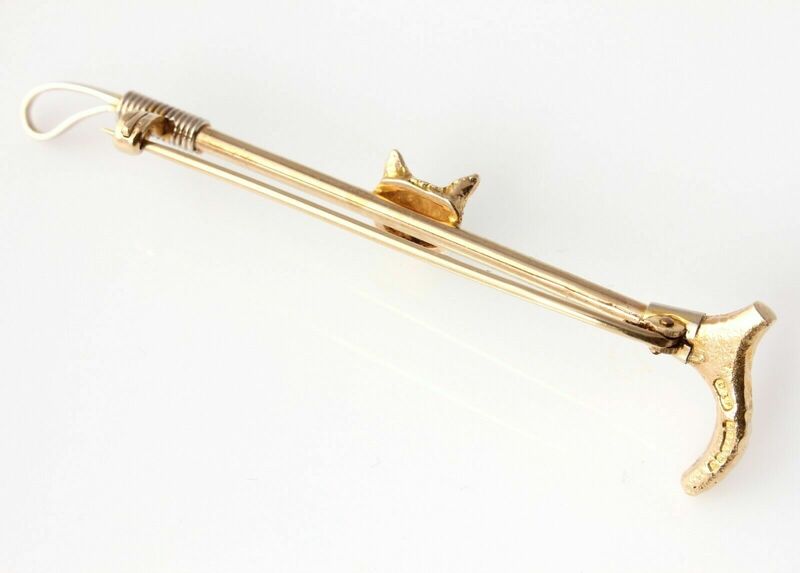 This stylish hunting themed brooch / tie pin that dates from the mid 20th century is crafted in solid 9ct gold and features a handsome fox mask with ruby cabochon eyes mounted on a riding crop which has nice white gold details. 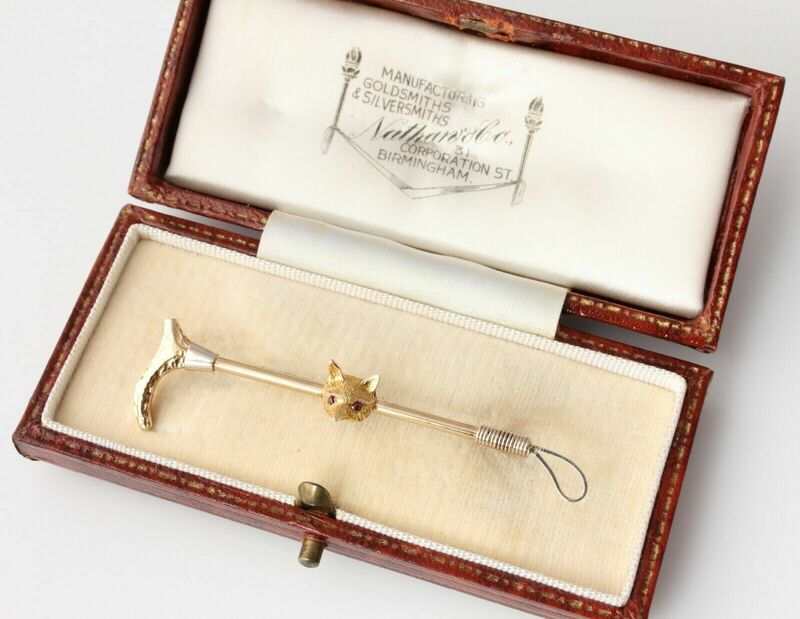 This high quality brooch is by renowned maker Deakin & Francis, fully hallmarked for 1952 and comes in it's vintage case. 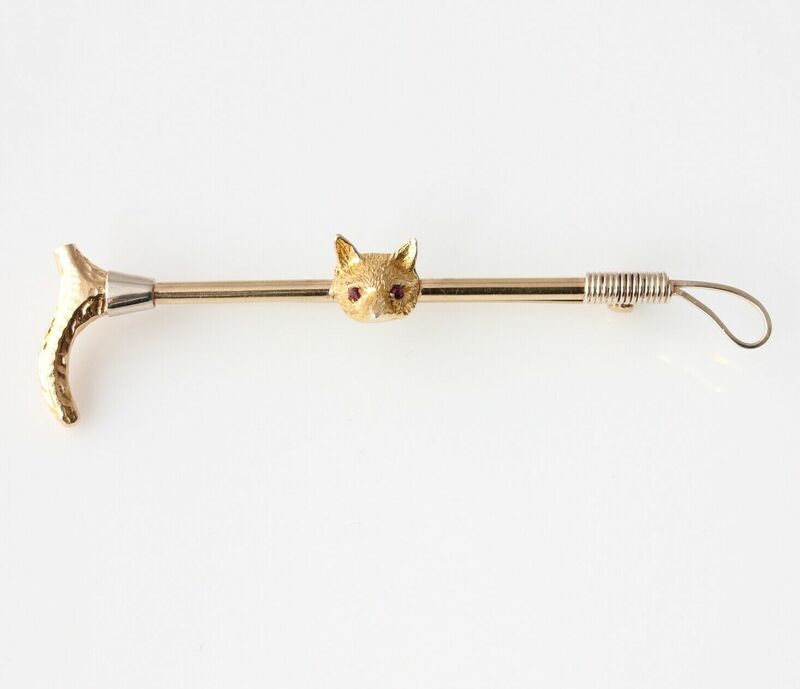 A very nice quality brooch which would make a wonderful gift. 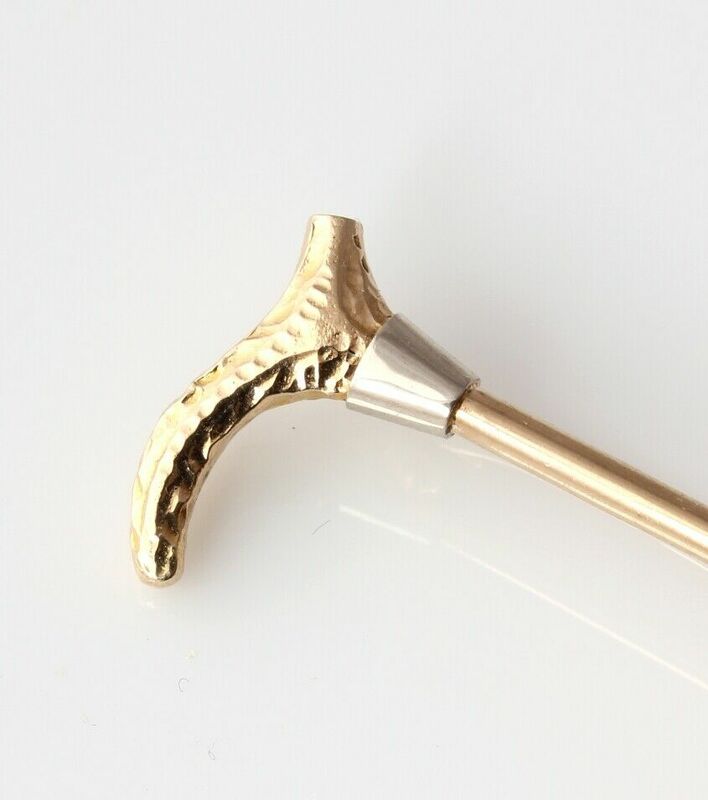 Materials: 9ct gold. 2 x rubies. 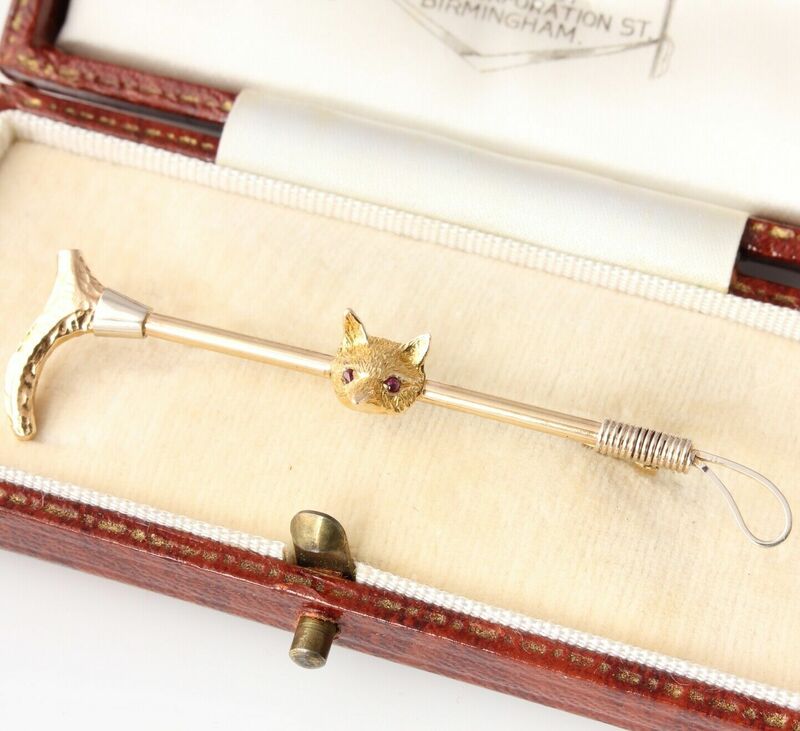 Hallmarked: Fully hallmarked for 9ct gold. Birmingham. Date letter C for 1952. Maker's mark D&F for Deakin & Francis. Size: Length of Brooch: 63 mm ( 2 1/2") approx. Condition: Excellent vintage condition. Cleaned and ready to enjoy. Please see pictures. Comes in the vintage case which has some light wear.